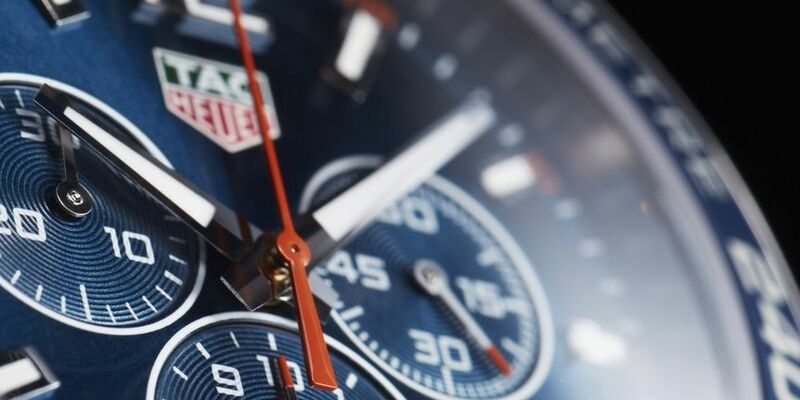 TAG Heuer is not only one of the oldest Swiss watchmakers, having been founded in 1860, but it's among the most prominent, most talked-about and most recognisable brands on the planet, thanks in part to a staggeringly diverse collection of timepieces. 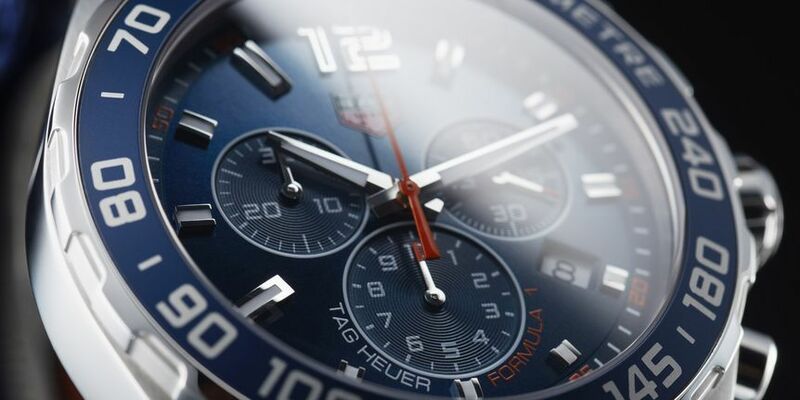 One of the most popular and varied TAG Heuer lines is the Formula 1 family, which is of course named after motorsport’s most prestigious event. The Formula 1 collection is expansive and deep, made up of a raft of models that, while portraying the foundations of the Formula 1’s recognisable aesthetic, still brandish unique attributes. The models that make up the Formula 1 collection are fresh, youthful, and take a more playful approach to what is otherwise some very serious watchmaking in a highly competitive environment. Pricing in the Formula 1 collection is as varied as the pieces are. 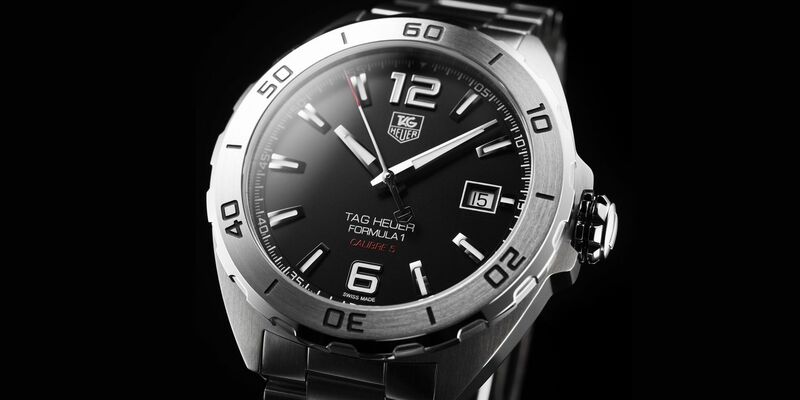 Entry into the Formula 1 family will cost $1,350 for the Quartz-powered TAG Heuer Formula 1, while on the other end of the spectrum TAG Heuer offers the Formula 1 Caliber 16 (below) for only $4,100. 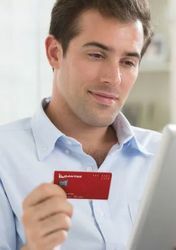 Between the Formula 1’s most affordable and most expensive options is an abundance of variety, which relishes in giving shippers the power of choice. Looking for an automatic chronograph? Or what about the highly functional and welcomed usefulness of a GMT? Or are you looking to add a bit of colour to your collection? Or a piece with diamonds for your better half? There’s almost always going to be some variation of the Formula 1 for you. Take this one of many Formula 1 special editions, as an example. With a clear lineage to the excitement of motor racing, this particular model has a bright and fresh colour palette, with spreads of blues and hints of orange scattered about. Then we have the Max Verstappen Special Edition model, honouring the Dutch F1 champion. TAG emblazoned Verstappen’s racing number on one of the sub-dials and ran the colour of the Dutch flag as vertical stripe on the right of the watch's face. It's wild and racy, with sharp red highlights bursting against a clean black background. Every element of the design gives this Formula 1 an exciting persona, yet this eye-catching special edition costs just $2,950. 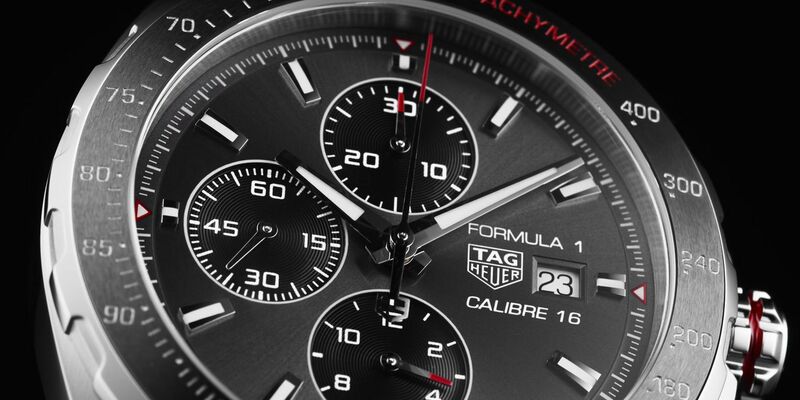 Edging away from the complex nature of a chronograph timepiece is the Formula 1 Calibre 5, a time-only variant that features a beautiful sunburst anthracite dial. The Formula 1 Calibre 5 had a very neutral look which is offset extremely well by the additions of red to the Calibre 5 marquee at 6 o’clock, the tip of the seconds’ hand as well as around the rim of the crown. 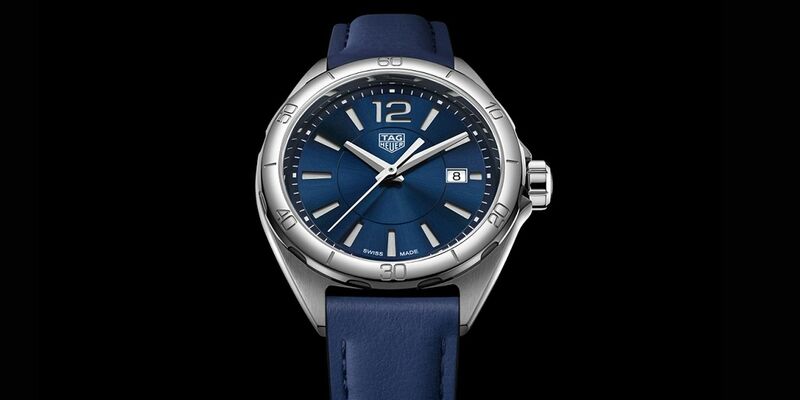 There’s a lovely balance to the Calibre 5’s aesthetic, where one may have found its overall neutrality slightly lack lustre, TAG Heuer have exercised great experience and restraint in ensuring that there’s just enough “pop” to keep it interesting, but not enough so as to deter from its simplicity and cleanliness. The price for this wonderfully executed piece is $2,350. 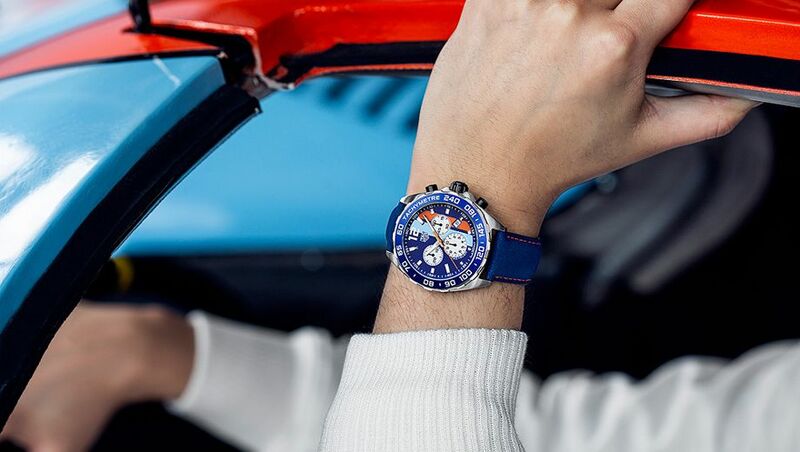 There is tremendous depth within the Formula 1 collection, and without sounding like a broken record, I can almost guarantee that you’d find a watch to suit your style. Max Verstappen is not a formula 1 champion. But these watches are amazing. It's a shame that with Ricciardo leaving Red Bull they didn't make a special watch for him. 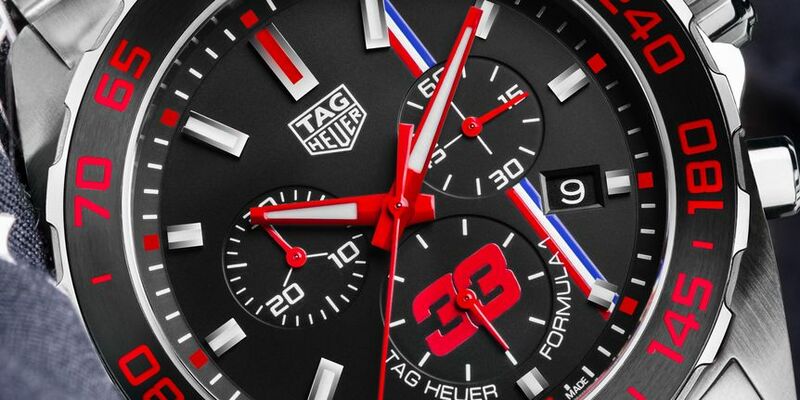 Comment on "TAG Heuer's Formula 1 Series brings the race track to your wrist"